Measuring the success or failure of marketing tactics has always been a challenge for marketers and a frustration for business executives. The inability to track measurable results to revenue contribution is a major cause of skepticism from non-marketers about the real value or even the importance of marketing. With more than 20 years of marketing experience, I have struggled at times with this challenge and felt the frustration from those I have reported to. The ability to more easily measure efforts and prove or disprove ROI is something that got my attention and attracted me to inbound marketing. I love data. It may sound crazy but slicing and dicing data has always been something that I loved about my job. The problem as a traditional marketer was the lack of meaningful data to slice and dice. Sure, I had sales numbers and I could segment lists to my heart’s content but I always ran in to trouble when I needed to prove that an initiative or campaign really worked, or to be able to track the progress of our efforts so that we could adjust before something failed. Enter inbound marketing. In what seemed like the blink of an eye, my data-slicing world got much bigger and more valuable to all of the stakeholders...sales, leadership and marketing. In fact, some may argue that there is too much data and making sense of it can be overwhelming. Readers of this blog already know how important we feel data, measurement and tracking are. The 2015 State of Inbound Marketing report highlighted that those who check metrics at least 3x per week are over 20% more likely to achieve positive ROI than those who don’t (I wonder what the results are for those who check it 3x/day). 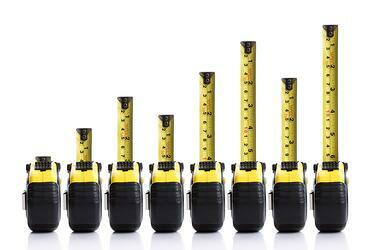 Tracking your inbound marketing progress should be a daily routine. The purpose isn’t to assess success or failure of any specific campaign or effort, it’s to position yourself to be constantly making tweaks and adjustments based upon what’s working or not working. I’ve read that when a plane is flying from point a to point b, it is off track more than 90% of the time. What gets you where you want to go without the ride being too bumpy is the constant adjustments that are made. The same is true for succeeding in your inbound marketing and lead generation journey. As part of our sales and marketing service level agreement (SLA), I’ve got some big results I’m responsible for in terms of lead generation and lead management. One aspect of my job is to be the one paying attention to Imagine’s journey and to ensure that we’re making the appropriate adjustments. I’d say we rarely go a week without tweaking something. I look at visits every day. I look to see where we are in comparison to our three-month average. With HubSpot, I am able to see where the traffic is coming from all in one place. Here’s an example of what I see. Every day is broken down by the type of traffic – organic, referrals, social media, email marketing, paid search, direct traffic or other campaigns. If I hover over a specific color on a specific day, I can see how many visits came from that source and how many contacts. Seeing it all at once helps me identify right away if a new email marketing campaign got traction or if something we promoted on social media actually drew people to our website. It is a snapshot indicator of where I may need to dig deeper. The second set of metrics I look at every day involves social media. We use social media to promote our blog posts and premium content. Because we post daily, I look at it daily. HubSpot allows me to see how many messages were published to what platform for every day. I can also see which messages were favorited, liked, re-tweeted and/or clicked and who took those actions. I’m primarily looking to see what content is getting the most engagement. For example, I will analyze posts to determine simple things like do questions or statements get more attention? Are statistics more popular than general statements? Based on this information, I structure future updates in a similar way and test the theories. I also monitor the data for trends related to days of the week and times of day and adjust our overall approach as necessary. At Imagine, we publish 3 blog posts each week. At least 2-3 times per week, I look at our blog metrics. We experiment with titles and also target different personas with each post. I look at which posts get the most traffic, which have more CTA clicks and what type gets more leads vs. repeat leads. At the end of each month, I look at things more holistically and use the data to help shape and/or adjust our editorial calendar and premium content approach for future months. We’re always creating new premium content and calls to action to go with each piece. These calls to action are included with our blog posts (and other places). They’re designed to move our prospects further along in the funnel. Analyzing the click-through rate helps me determine the types of CTAs that grab the attention of our prospects. With HubSpot, I can look at this data many ways…by date, by CTA type and by campaign. I can also sort it many ways. Here’s a snapshot of what I see. If you’re looking carefully at the graphic above, you have already figured out that landing page conversion rate must also be on my list. Even more important than click-through rate is conversion rate. Analyzing these two pieces really helps marketers figure out if their CTAs need to be adjusted or their landing pages or both! It is also an indicator of they types of premium content that our personas find useful – ebooks, whitepapers, tools, etc. These metrics can also help indicate where A-B testing may be worth a try. Another key part of inbound marketing is email marketing and lead nurturing. Knowing how your audience is engaging or not engaging with your regular or nurturing campaigns allows you to make adjustments before the next campaign or email goes out. The two key pieces of information I review are open rate and click-through rate. If open rates are low, maybe the subject lines need work. If your emails are getting opened but no one is clicking, you need to work on your story and calls to action. Leads are what we’re all after, right? So probably the most important metric is leads. Lead definitions vary by organization but for us we measure leads, marketing qualified leads (MQLs), sales qualified leads (SQLs) and opportunities. In addition to measuring the number of each, we can also analyze the lead source. This helps us track the health of our overall funnel. Many organizations establish lead generation goals. If one number is lower or higher than expected, it will impact the rest of the funnel. Measuring leads on at least a monthly basis will allow you to make adjustments to your lead generation program before things spiral in one direction or the other. The greatest thing about all of these metrics is now marketers have definitive data available to them that can guide their decisions, help them prove ROI and justify the existence of marketing to the non-believers. The truth has always been out there – now we can prove it.